Price includes: Transport with comfortable bus and coach, accommodation in good hotels with private facilities, full board, professional guide and all entrance taxes. The price does not include: Airfares, travel insurance, alcohol drinks and cigarettes, room service, telephone calls. 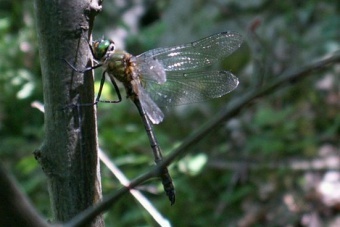 For the moment in Bulgaria there were registered 69 species of Dragonflies, including one new dragonfly species: Bulgarian emerald (Corduliochlora borisi) discovered in 1999. 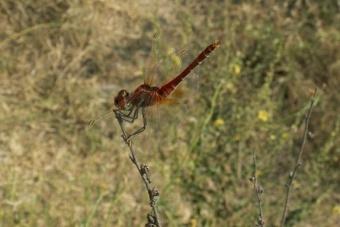 During this tour we expect to observe around 45 species of Dragonflies. Arrival at Sofia airport and transfer to town of Melnik, where we will stay for three nights. Along the road we will make a short exploration stop at Vedena River and Kresna Gorge where we expect to see among the others Beautiful and Banded Demoiselles, Common Clubtail and Sombre Goldenring. Late in the afternoon we will arrive in the town of Melnik. Melnik is a picturesque historic village famous for its locally produced wines. After an accommodation in the hotel we will visit a typical cave and we will test different wines. After breakfast we will explore the area near Struma River and we expect to see Eastern Willow Spreadwing, Variable and Small Red-eyed Damselflies, Blue-eye, Green-eyed and Blue-eyed Hawkers, River Clubtail, Scarce Chaser and White-tailed Skimmer, Scarlet, Southern, Red-veined and Marshland Darters, and other species. We will visit the only known locality in Bulgaria for the Black Pennant and newly discovered Bladetail. In the evening we will return to our hotel for a second overnight. This day is dedicated to the lower slopes of ( will be spent in) Alibotush and Pirin Mts where we expect to see Balkan Goldenring, Eastern Spectre, Southern Skimmer and some other species. This region is also famous with great number of butterfly species – more than 70 species appear there and we expect to see Sandy Grizzled Skipper, many blues such as Phalakron Blue, Mountain Alcon Blue, Meleager’s Blue, up to three species of anomalous blue, Osiris Blue, Escher’s Blue and False Eros Blue. 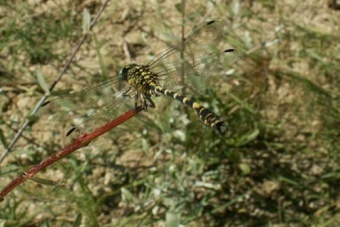 Transfer to spectacular Trigrad gorge in Western Rhodope Mountain with several stops along the road for Somber Goldenring, Banded Darter and Yellow-winged Darter; Green-eyed Hawker, Lesser Emperor, Downy Emerald, Broad Scarlet (Darter); Yellow-winged Darter, Scarce Emerald Damselfly and Green-eyed (Norfolk) Hawker. This spectacular gorge is one of the best places to watch the Wallcreeper in Europe. Diner and overnight. On this day we continue our trip east to the Eastern Rhodope Mts with longer stop at Smolyan Lakes exploring Northern Damselfly, Downy Emerald, Four-spotted and Scarce Chaser, Blue-eyed Hawker and some other species. Lunch on the way and late in the afternoon we arrive in our hotel in the Eastern Rhodope Mts for three-nights stay. After breakfast we will explore Arda and Krumovitsa River valleys for Small Red-eyed Damselfly, Dainty Damselfly, Odalisque, Eastern Spectre, Balkan and Southern Emerald, Lesser Emperor, Southern Darter and many more. Picnic lunch. Late in the afternoon we will return to our hotel for a second overnight. WE will have a day spent close to the border at Biala reka River valley for Blue-eye, Small Red-eyed, Scarce Emerald and Southern Emerald Damselfly, Dainty Damselfly, Western Willow Spreadwing, Bulgarian and Balkan Emeralds, Turkish Goldenring, Eastern Spectre, Blue-eyed Hawker, Ruddy Darter. Picnic lunch. Late in the afternoon we will return to our hotel for the last night there. Transfer to Burgas on the Black Sea coast with two special stops on the way. 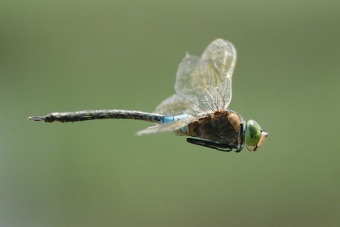 Species we expect to see - Southern Emerald Damselfly, Small Spreadwing, Eastern Willow Spreadwing, Winter Damselfly, Blue-eye, Dainty Bluet, Lesser Emperor, White-tailed and Southern Skimmers, Broad Scarlet (Darter), Southern and Red-veined Darters; Ornate Bluet, River and Common Clubtails, Scarce Chaser. We will arrive at our hotel late in the afternoon for four-nights stay. On this day we will explore Burgas wetlands. 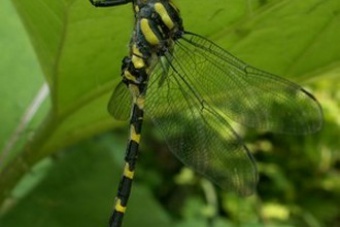 There we can expect more than twenty species of Dragonflies including Southern Emerald Damselfly, Dark Spreadwing, Winter Damselfly, Dainty Damselfly, Goblet-marked Damselfly (Blue-eye), Norfolk Hawker, Lesser Emperor, Vagrant Emperor, White-tailed Skimmer, Scarlet Darter, Southern Darter. This is the second locality of Black Pennant in the country. Drive south where we will visit several protected areas and coastal wetlands – marshes and river mouths near the Black Sea coast. 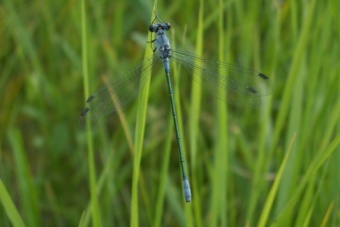 Species include Western and Eastern Willow Spreadwings, Small Emerald Damselfly, Lesser and Vagrant Emperors, Blue-eyed and Turkish Goldenrings, Balkan Emerald, Scarce Chaser, Keeled Skimmer, Red-veined Darter. Picnic lunch on the coast. Back to our hotel in the evening. On this day we will explore Strandzha Mt searching for Odalisque, Goblet-marked Damselfly, Southern Migrant Hawker, Small Pincertail, Eastern Spectre, Turkish Goldenring and many more. Late in the afternoon we will rerurn to our hotel. Picnic lunch. Transfer to Stara Zagora region for the final night-stay with two stops on the way (near Tvurditsa). 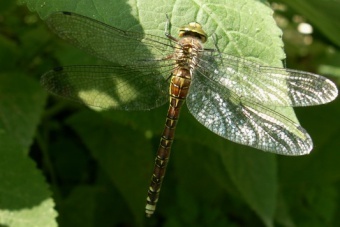 Species we expect to see: Southern Migrant Hawker, Eastern Spectre, Small Pincertail, Balkan and Sombre Goldenrings. 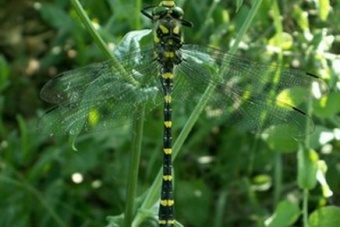 Transfer to Sofia with stop at Maritsa River looking for Small Pincertail, River Clubtail and Green Snaketail, White-tailed Skimmer and some other species. Departure.